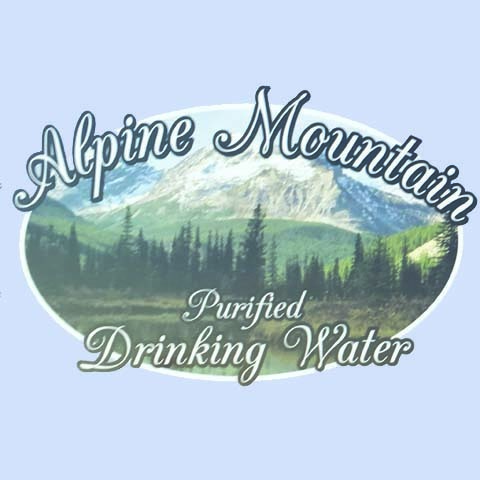 Alpine Mountain, in Crown Point, IN, is the area's leading bottled water company serving Crown Point and surrounding areas since 1988. 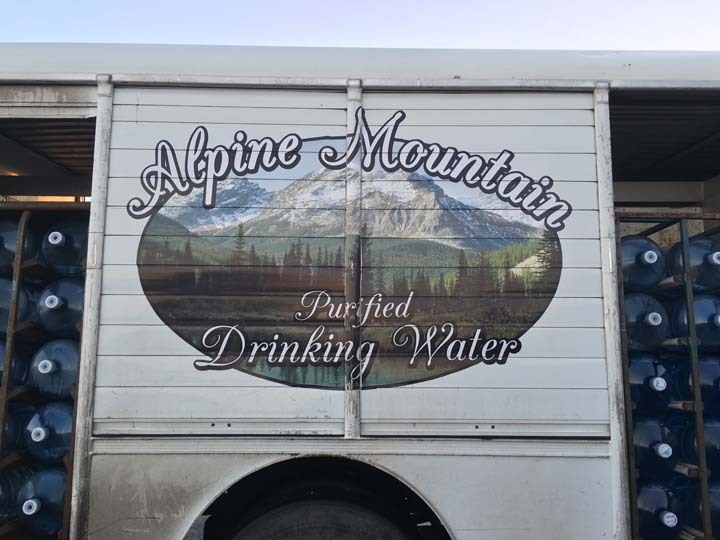 We sell bottled water and offer water salt delivery or pickup and water cooler rental. 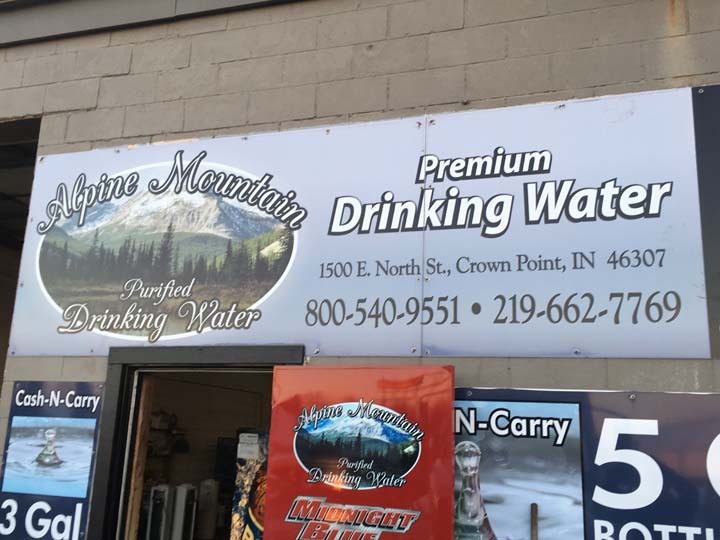 For more information, contact Alpine Mountain in Crown Point. Established in 1988. 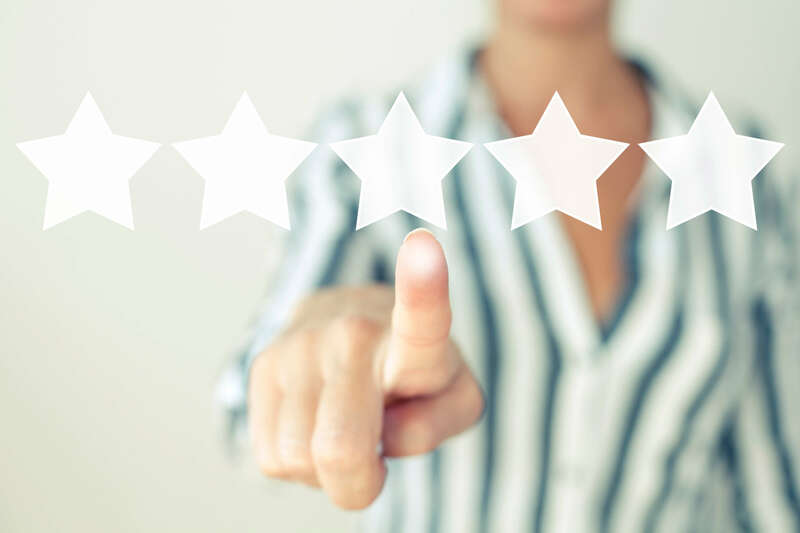 Alpine Mountain is proud to serve our local area which includes 60+ Miles. 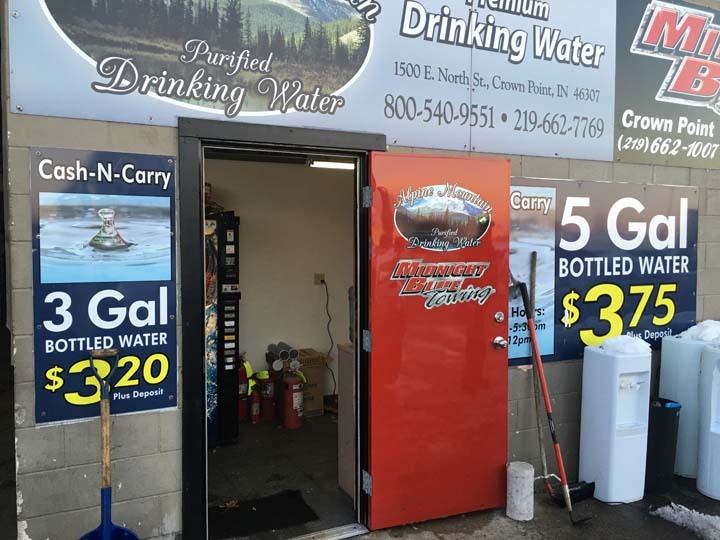 We specialize in 5 Gallon Distilled Water, 5 and 3 Gallon Drinking Water, Water Softener Salt Delivery or Pick Up, and Water Cooler Rental since 1988.